Head injuries. Warning signs include: a cracked helmet, a headache that does not dissipate, lost consciousness, confusion, or vision changes. Difficulty taking a deep breath. This can mean that you have a rib injury. If the fracture remains unstable and shifts, your lung could be punctured. Tender abdominal area. This can signal internal damage. Often, this injury is caused by impact with your bike’s handlebars. Internal bleeding in this area can be identified by a belly that has become distended or firm. Numbness in fingers or toes. Spinal injuries are often first identified by this symptom. Inability to turn your head is another symptom of a spinal injury. Experts also warn that if there is any bleeding, bicyclists should not attempt to fashion a tourniquet around the limb. This technique should only be used by professionals. Instead, the preferable way to stop bleeding is by applying direct pressure with a clean piece of cloth to the wound. Another safety tip for cyclists involves making your medical information accessible. Many smartphones have a feature that allows others to view your health issues and medication. This feature must be enabled by the user, however. The information is invaluable to paramedics and doctors attempting to care for you in the aftermath of an accident. As a bicyclist, you have rights on the roadway. You should not think that because you are on a bike that you are automatically responsible for some or all of your injuries. If you are in a bicycle accident and require medical treatment, hiring an attorney can greatly reduce your stress during this time and ensure that your rights under law are protected. 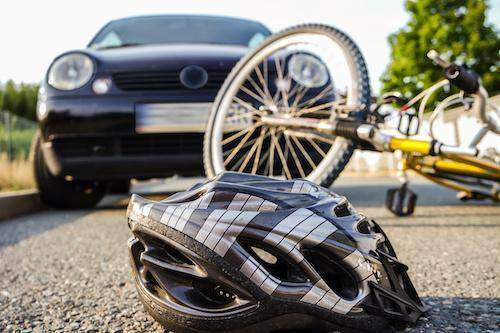 Our attorney is knowledgeable about bicycle law and the rules of the road. If you’d like to schedule a free consultation to see what an attorney thinks about your case, call the experienced Plainfield, IL bike accident attorney of Flaherty Law at 815-577-7500 today.